Abstract: We investigate the long-term effects of S&P 500 index additions and deletions on a sample of stocks from 1962 to 2003 and find a significant long-term price increase for both added and deleted stocks, with deleted stocks outperforming added stocks. The long-term price increase for added stocks can be attributed to increases in institutional ownership, liquidity, and analyst coverage, and a decrease in the shadow cost in the long-term. However, while deletion has no significant effect on analyst coverage and shadow cost, we find a rebound in the institutional ownership and liquidity of deleted stocks. The difference in the long-term price increase of added and deleted stocks can be explained by analyst coverage and operating performance. Abstract: This paper investigates the impact of media coverage, especially those that mention analyst recommendation upgrades, on the widely documented price premium effect of firms that are newly included in the three major Standard and Poors stock indexes: S&P 500, MidCap400 and SmallCap 600. The sample covers 256 new inclusion cases in the 2009-2011 period. The author finds favorable media coverage is significantly associated with permanent price effect, and this effect is more pronounced for the small cap index and for newly included stocks that are not upgraded from another index. It is also discovered that media coverage of the index inclusion event and analyst recommendation upgrades of the newly included firms mentioned in media are positively related to optimistic consensus earnings forecast, but only analyst upgrades are associated with deteriorated forecast accuracy, indicating a fine difference in the information content such media coverage conveys. These findings are consistent with the investor awareness explanation as in Chenet al. (2004), and a similar pattern of results are found for the index deletion cases in the same time period. Abstract: We find that the firms included in the S&P 500 index are characterized by large increases in earnings, appreciation in market value, and positive price momentum in the period preceding their index inclusion. This strong pre-inclusion performance predicts 1) the permanent increase of market value and 2) the change in return comovement, reflected in declines of size, value, and momentum betas, following index inclusion. Nonevent firms with similar performance experience similar appreciation in value and changes in comovement coincident with the event firms. Contrary to the consensus in the literature, our results indicate that – after accounting for the firms’ extraordinary pre-inclusion performance – index inclusion has no permanent effecton value and comovement. Abstract: The purpose of this paper is to examine the shocks to firm’s beta around the event of addition or deletion from the S&P 500 index. Results show a significant increase in correlations of the event firms’ returns and the market proxy returns and cash-flow betas, and decrease in discount-rate betas for added firms and the opposite effects for deleted firms. Robustness tests indicate that the total derivative changes effects are typical for the event firms industry but that the cash-flow correlation changes are specific to the firm. These findings suggest that addition or deletion from the S&P 500 index is not an information free event. Abstract: We examine the trades of index funds and other institutions around S&P 500 index additions. We find index funds begin rebalancing their portfolios with the announcement of composition changes and do not fully establish their positions until weeks after the effective date. Trading away from the effective date is more prevalent for stocks with lower levels of liquidity and among large index funds, which is consistent with index funds accepting higher tracking error in order to reduce the price impact of their trades. Small and mid-cap funds provide liquidity to index funds around additions, and added stocks with a greater proportion of these natural liquidity providers experience lower inclusion returns. Abstract: We find, unlike earlier studies, that there is no rise in the market betas of stocks that enter the S&P 500 index when the estimated factor model is that of Fama and French (1993). We also find that SMB and HML factor betas decline after the stocks are added to the index. This decline is explained by strong increases in earnings and in the market value of the event stocks in the period around and, in particular, prior to their inclusion in the index. We suggest that inclusions to the S&P 500 index are informative events that trigger a reassessment of the risk of newly added firms by drawing the broad market’s attention to their extraordinary growth in size and profitability. Abstract: This study finds that first-time additions to the S&P 500 Index or its family experience permanent price increases; however, companies upgraded from lesser-known S&P indices, reentering the S&P 500, or dropped from the index experience temporary price changes. These price patterns can be explained by changes in investor recognition. Abstract: Numerous studies have documented abnormal returns available to investors around index changes. S&P 500 index fund managers face competitive pressures to replicate the index as close as possible or risk the loss of investors to competing funds. As a result, these fund managers have incentive to take actions to reduce any underperformance. We examine whether S&P 500 index funds are able to opportunistically trade around index changes between the announcement date and the effective date in an effort to reduce tracking error. We do find evidence of these funds using changes to the S&P 500 as a source of opportunity to capture performance and reduce tracking error. This evidence suggests that the wealth transfer from index fund investors to arbitrageurs around S&P 500 index changes documented in the literature may be far less pronounced than originally thought. Abstract: We examine the probability of deletion of a firm from the S&P 500 index due to a decision of the index committee because the firm did not satisfy the index committee criteria. We study the probability of deletion with survival analysis and neural networks methods. We document that deletion might be predictable, which is contrary to the findings of most studies that the market cannot predict the timing of a company deletion from the S&P 500 index. It might also be beneficial to know ahead of time which company might be deleted from an index, to supplement the arbitrage opportunities that exist already in the announcement-effective date event window. Abstract: The authors examine analyst behavior surrounding the announcements of S&P 500 Index inclusions. Their main objective is to understand how analysts react to such announcements and whether analysts’ forecast estimates are overly optimistic following inclusions. The results indicate that analysts overreact to S&P 500 addition announcements; in the sample of newly added companies studied in this article, analyst earnings forecasts are found to be overoptimistic. The results also show a significant decrease in analyst forecast accuracy and higher inter-analyst forecast dispersion. These findings are important for investors who use analysts’ earnings forecasts to make investment decisions about companies that are newly added into the S&P 500. Investors should be cautious about making investment decisions based on analysts’ earnings forecasts as the forecasts tend to be upward biased (optimistic) and less accurate. The authors conclude that the credibility of analysts’ earnings forecasts for S&P 500–added firms may be altered. Abstract: This study focuses on S&P500 inclusions and deletions, examining the impact of potential overnight price adjustment after the announcement of an S&P500 index change. We find evidence of a significant overnight price change that diminishes the returns available to speculators although there are still profits available from the first day after announcement until a few days after the actual event. More importantly, observing the tick-by-tick stock price performance and volume effects on the key days during the event window for the first time, we find evidence of consistent trading patterns during trading hours. A separate analysis of NASDAQ and NYSE listed stocks allows for a detailed examination of the price and volume effect at an intra-day level. We find that index funds appear to cluster their rebalancing activities near to and after the close on the event date, suggesting that they are more concerned with tracking error than profit. Abstract: This paper provides evidence of information effects and portfolio rebalancing effects that occur when stocks are added to or excluded from the S&P 500 index and finds that incumbents in the index realize negative excess returns when S&P revises the composition of the index. We also find that for incumbents that are in the same industry as the added firm, the price-pressure effects are mitigated by positive industry-level information and momentum effects. For index exclusions, the magnitude of the loss sustained by incumbents from the same industry as the excluded firm is larger than that realized by the non-industry incumbents, as the negative information and momentum effects reinforce the price-pressure effects. Our results suggest that changes in the composition of the index are not information-free events; however, the portfolio rebalancing effects dominate the industry information effects. S&P 500 Index Revisited: Do Index Inclusion Announcements Convey Information about Firms’ Future Performance? Abstract: Standard & Poor’s claims that its announcements of firms’ inclusion in the S&P 500 Index contain no information about future performance; nevertheless, there are well-documented positive abnormal returns that Denis et al. (2003) contend may reflect positive information concerning future earnings realizations. We replicate Denis et al., but extend the analysis to investigate whether the source of these earnings improvements can be attributed to cash flows, non-discretionary accruals, or discretionary accruals and whether the earnings surprise is associated with abnormal returns at announcement. We confirm a significant improvement in realized earnings subsequent to index inclusion, but show that improvements in earnings are mainly attributable to relatively larger discretionary accruals, as opposed to improvements in operating cash flows. Further, these accrual driven improvements are not associated with inclusion announcement abnormal returns. These results provide important extension to Denis et al. and indicate that inclusions to the S&P 500 are information-free events. Abstract: I examine the effect of demand on stock prices by analyzing the transition of the S&P500 index from market capitalization to free float weighting, which occurred in 2005. I find that a decrease in demand produced a permanent stock price decline, which was accompanied by significant abnormal trading volume. The results provide support for the downward-sloping demand curve hypothesis. Abstract: This study examines the abnormal returns, trading activity, volatility and long-term performance of stocks that were added to the S&P 500 index. By using a three-factor pricing model that allows for firm size and value characteristics as well as market risk, we are able to shed new light on the widely observed ‘index effect’. We find that the CAPM tends to overstate the performance of large firms and to understate the performance of small firms. We also find a transitory increase in trading volume between the announcement and a few days after the effective date. In terms of the firm’s operating performance, we find a significant increase in earnings per share after inclusion, which combines with the stock price rise to leave the average price-earnings ratio largely unaltered. Examining a unique sample of deletions of international companies and replacements with US companies, we find that deleted stocks experienced a considerable and permanent fall in price, inconsistent with the Investor Recognition Hypothesis. The “seal” of S&P 500 index membership has very long-term effects and inclusion appears not to be an information-free event. Abstract: I investigate the information content of S&P 500 index changes by examining the price and volume reaction of the industry and size matched firms. Using a sample of S&P 500 additions between 1976–2001, I find a significantly positive price reaction, but no volume reaction, for the matching firms. In addition, the matching-firm price reaction is negatively related to the added firm’s weight in its industry. These findings suggest that the index addition conveys favorable information about the added firm and its industry. Abstract: We present an analytical survey of the explanations—price pressure, downward-sloping demand curves, improved liquidity, improved operating performance, and increased investor awareness—for the increase in stock value associated with inclusion in the S&P 500 Index. We find that increased investor awareness is the primary factor behind the cross-section of abnormal announcement returns. We also find some evidence of temporary price pressure around the inclusion date. We find no evidence that long-run downward-sloping demand curves for stocks, anticipated improvements in operating performance, or increased liquidity are related to the cross-section of announcement or inclusion returns. Abstract: Because of arbitrage around the time of index changes, investors in funds linked to the S&P 500 Index and the Russell 2000 Index lose between $1.0 billion and $2.1 billion a year for the two indices combined. The losses can be higher if benchmarked assets are considered, the pre-reconstitution period is lengthened, or involuntary deletions are taken into account. The losses are an unexpected consequence of the evaluation of index fund managers on the basis of tracking error. Minimization of tracking error, coupled with the predictability and/or pre-announcement of index changes, creates the opportunity for a wealth transfer from index fund investors to arbitrageurs. Abstract: In this paper, we use the underlying stock markets data to analyze the post-1989 market behavior of index changes. We examine price and volume history for firms added to or deleted from the S&P 500 from January 1990 through December 2002. We found a mean cumulative abnormal return from announce day to change day of 8.44% for additions and -11.10% for deletions. The abnormal returns still remain at 6.19% for additions and -6.20% for deletions 20 days after the change day. We found an arbitrage space of 3.2% for additions and -6.7% for deletions which use the strategy of buying/selling at the open of AD+1 and covering those positions at the close of CD. We found direct evidence rejecting the downward-sloping long-run demand curves hypothesis which has been supported by most of the prior studies for decades. We demonstrate the demand curves are only downward-sloping in short-run and horizontal in the long-run. We also focus our research on the dynamic evolvement of this effect from 1990 to 2002 which indicates markets are becoming more efficient. Abstract: Building on Vijh (Rev. Financial Stud. 7 (1994)), we use additions to the S&P 500 to distinguish two views of return comovement: the traditional view, which attributes it to comovement in news about fundamental value, and an alternative view, in which frictions or sentiment delink it from fundamentals. After inclusion, a stock’s beta with the S&P goes up. In bivariate regressions which control for the return of non-S&P stocks, the increase in S&P beta is even larger. These results are generally stronger in more recent data. Our findings cannot easily be explained by the fundamentals-based view and provide new evidence in support of the alternative friction- or sentiment-based view. Abstract: We study the price effects of changes to the S&P 500 index and document an asymmetric price response: There is a permanent increase in the price of added firms but no permanent decline for deleted firms. These results are at odds with extant explanations of the effects of index changes that imply a symmetric price response to additions and deletions. A possible explanation for asymmetric price effects arises from the changes in investor awareness. Results from our empirical tests support the thesis that changes in investor awareness contribute to the asymmetric price effects of S&P 500 index additions and deletions. Abstract: We study liquidity effects following S&P 500 index revisions. Using a recent sample of S&P 500 additions, we find a sustained increase in the liquidity of the added stocks. Further, the improvement in the liquidity of added stocks is due primarily to a decrease in the direct cost of transacting and a smaller decline in the asymmetric information component. Finally, the event period cumulative abnormal returns for additions are significantly associated with the decrease in the effective spread, particularly the decline in the direct cost of transacting. In contrast, the liquidity of deleted stocks declines over the three months following deletion. Abstract: Using additions of NYSE- and Nasdaq-listed firms to the S&P 500, between 1989 and 2000, we explore the price effects of noninformation related demand shocks. After controlling for various firm characteristics, index fund growth, and arbitrage risk, we find that NYSE stocks suffer less pronounced price effects than do Nasdaq stocks on the day stocks are added to the Index. For NYSE stocks, this effect is reversed immediately, but Nasdaq stocks, show a partial reversal taking place over several days. We interpret this result as evidence of the superiority of the specialist system over the dealer system in mitigating price pressure. Abstract: Stock price increases associated with addition to the S&P 500 Index have been interpreted as evidence that demand curves for stocks slope downward. A key premise underlying this interpretation is that Index inclusion provides no new information about companies’ future prospects. We examine this premise by analyzing analysts’ earnings per share (eps) forecasts around Index inclusion and by comparing postinclusion realized earnings to preinclusion forecasts. Relative to benchmark companies, companies newly added to the Index experience significant increases in eps forecasts and significant improvements in realized earnings. These results indicate that S&P Index inclusion is not an information-free event. Abstract: Standard & Poor’s has become increasingly aggressive in deleting stocks from the S&P 500 index. Where once it made replacements in the index only when a particular stock had to be removed due to merger or acquisition, corporate restructuring, and bankruptcy filing, S&P now voluntarily removes a company for a variety of reasons, which may include low market capitalization, low share price, dwindling market share, or simply the need to find a spot for an up-and-comer. There are a variety of impacts on share price and trading volume for stocks added to and deleted from the S&P 500 during the period January 1996 through December 2001. For additions, abnormal returns and trading volumes are higher than ever. For deletions, share prices are dealt a crippling blow. Abstract: In textbook theory, demand curves for stocks are kept flat by riskless arbitrage between perfect substitutes. In reality, however, individual stocks do not have perfect substitutes. We develop a simple model of demand curves for stocks in which the risk inherent in arbitrage between imperfect substitutes deters risk‐averse arbitrageurs from flattening demand curves. Consistent with the model, stocks without close substitutes experience higher price jumps upon inclusion into the S&P 500 Index. The results suggest that arbitrage is weaker and mispricing is likely to be more frequent and more severe among stocks without close substitutes. Abstract: This article analyses price and volume data for firms added to or deleted from theS&P 500 from October 1989 through December 1999. Because of the time difference between the announcement and the actual change in the index, we have an opportunity to observe the market react to significant demand changing information. For both additions and deletions the data reveals a distinct pattern of price and volume movements. For additions we find that the stock exhibits significant increases from the announcement through the change day, and then a decline from the change day through the release-ending period when the price steadied approximately 8% above its pre-announcement price. The effect on deletions is more extreme, as the stock generally settles about 14% below its pre-announcement price. There is also a difference in that deletions do not exhibit a sustained price increase after the change day, instead showing aslight increase as selling pressure abates before resuming the decline. Abstract: This study examines changes in stock liquidity, as measured by the bid/ask spread, when a stock is added to the S&P 500 Index. The paper presents evidence of a significant decrease in the bid/ask spread upon S&P 500 addition, however, this effect is limited to only those stocks that were not trading listed options. Further, the decrease in the bid/ask spread for nonoptioned stocks is accompanied by a significant and permanent increase in share price and trading volume. While optioned stocks experience a permanent increase in trading volume, they experience only a temporary increase in share price. The findings for optioned stocks support the hypothesis that the price and volume effects associated with S&P 500 addition derive from temporary price pressure. Findings pertaining to the nonoptioned stocks indicate that the price and volume effects associated with S&P addition reflect enhanced stock liquidity. The decrease in the bid/ask spread for nonoptioned stocks is attributed to informational efficiencies achieved via index arbitrage trading, and it is argued that this effect is mitigated for optioned stocks due to the pre-existence of arbitrage trading between the option and the underlying stock. Abstract: The S&P game started in October 1989, when Standard and Poor’s began its practice of pre-accouncing changes to the S&P 500. Before then S&P had announced the change in composition after the close of trading with the change becoming effective by the next morning’s open. With no lead time, index funds bought the shares of the newly included stock on the day following the announcement. To ease imbalances on the day following the announcement, S&P began, in October 1989, to pre-announce changes in index composition. Under the new policy, the announcement takes place after the market close, although the change does not become effective until about five days later. Since many index funds wait until the effective date to rebalance, “risk arbitrageurs” step in ahead of the index funds – buying on the day following the announcement, and selling, presumably at a higher price, a few days later. The purpose of this study is to report on the profitability of the S&P game. Abstract: Since October 1989, Standard and Poor s has (when possible) announced changes in the composition of the S&P 500 index one week in advance. Because index funds hold S&P 500 stocks to minimize tracking error, index composition changes since this date provide an opportunity to examine the market reaction to an anticipated change in the demand for a stock. Using post-October-1989 data, we document significantly positive (negative) post-announcement abnormal returns that are only partially reversed following additions (deletions). These results indicate the existence of temporary price pressure and downward-sloping log-run demand curves for stocks and represent a violation of market efficiency. Abstract: This study analyzes the effects of changes in S&P 500 index composition from January 1986 through June 1994, a period during which Standard and Poor’s began its practice of preannouncing changes five days beforehand. The new announcement practice has given rise to the “S&P game” and has altered the way stock prices react. We find that prices increase abnormally from the close on the announcement day to the close on the effective day. The overall increase is greater than under the old announcement policy although part of the increase reverses after the stock is included in the index. Abstract: L. Harris and E. Gurel (1986) and A. Shleifer (1986) examined changes in the Standard and Poor’s list. Both studies presented evidence inconsistent with efficient markets. Looking at newer data and at bond and option prices, the authors find that case against market efficiency is not compelling. Abstract: Several recent articles have provided new evidence for the existence of price pressures by examining the price and volume effects associated with changes in the S&P 500. The present study extends this work by examining actual changes in institutional holdings following both additions to and deletions from the S&P 500. The results show that changes in institutional holdings in response to additions or deletions from the S&P 500 are positively correlated. In addition to providing further evidence for the existence of price pressure effects, the results also provide evidence of the very large institutional elasticities of demand for stock. Abstract: This paper investigates the stock price effects of announcements by S&P to include or exclude stocks in its indexes. There are at least two reasons to expect such effect. For one, even though the decision to include or exclude a stock may not imply any judgement about its investment appeal on the part of Standard and Poor’s, the announcement of inclusion or exclusion may impart information to the investing public that changes their perception of the stock’s investment appeal. Another possibility investigated is that inclusion or exclusion of a stock creates “price pressure” because some index fund managers invest only in S&P 500 firms, the inclusion (exclusion) of a firm in the S&P 500 may be expected to increase (decrease) demand for its stock, hence it stop price. Abstract: Attempts to identify price pressures caused by large transactions may be inconclusive if the transactions convey new information to the market. This problem is addressed in an examination of prices and volume surrounding changes in the composition of the S&P 500. Since these changes cause some investors to adjust their holdings of the affected securities and since it is unlikely that the changes convey information about the future prospects of these securities, they provide an excellent opportunity to study price pressures. The results are consistent with the price-pressure hypothesis: immediately after an addition is announced, prices increase by more than 3 percent. This increase is nearly fully reversed after 2 weeks. 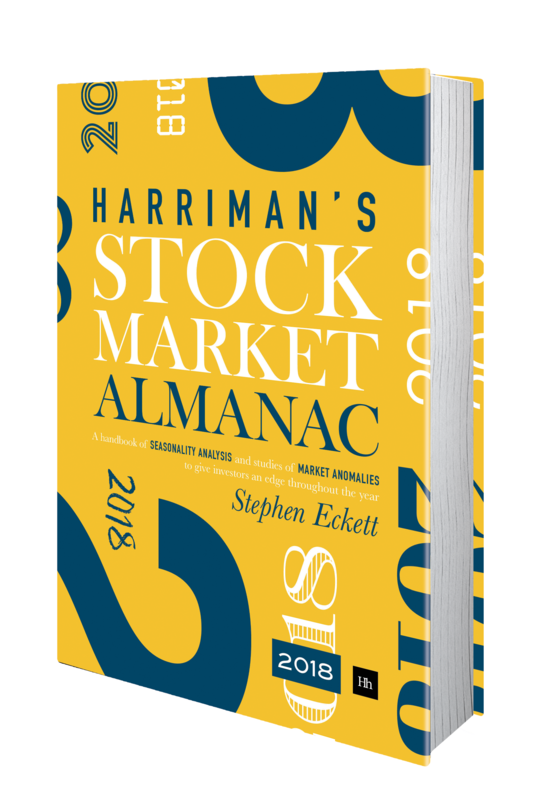 Abstract: Since September, 1976, stocks newly included into the Standard and Poor’s 500 Index have earned a significant positive abnormal return at the announcement of the inclusion. This return does not disappear for at least ten days after the inclusion. The returns are positively related to measures of buying by index funds, consistent with the hypothesis that demand curves for stocks slope down. The returns are not related to S & P’s bond ratings, which is inconsistent with a plausible version of the hypothesis that inclusion is a certification of the quality of the stock. Does Delisting from the S&P 500 Affect Stock Price? Abstract: On November 30, 1983, seven stocks were dropped from the Standard & Poor’s 500 index to make room for the stocks of the seven new telephone companies. This event offers an unusual opportunity to study the effects of delisting, independent of changes in investor expectations of future performance. Efficient market theory suggests that the market prices of the delisted securities should not have changed, because the delisting would have no effect on their expected future returns. However, the evidence indicates an apparently significant and long-term drop in the prices of the delisted stocks, suggesting a possible measurable negative price effect is associated with delisting from the S&P 500. This entry was posted in Academic papers, News and tagged index review, paper review, S&P 500, SPX by Almanacist. Bookmark the permalink.